As Women’s Month comes to a close, we look back on an amazing month celebrating the strong, inspirational women who drive change and fight for equality across South Africa. We also remember the thousands of brave women who marched to the Union Buildings on 9 August 1956 in the fight for a non-racial and non-sexist society. Female empowerment sits at the heart of Waves for Change (W4C). We are proud to say over 60% of our coaching staff are female, and through efforts including introducing ‘girls only’ sessions and additional transport, we boosted female participation from 16% to 35% in the past 12 months. W4C commits to promoting gender equality, recognising inequality undermines girls’ ability to live safely in South African communities and seize opportunities available to their male counterparts. With this in mind, we wrap-up Women’s month with a #TBT to one of our favourite moments celebrating and highlighting the important role women play in people’s lives; as moms, sisters, aunts, grandmothers and caregivers. 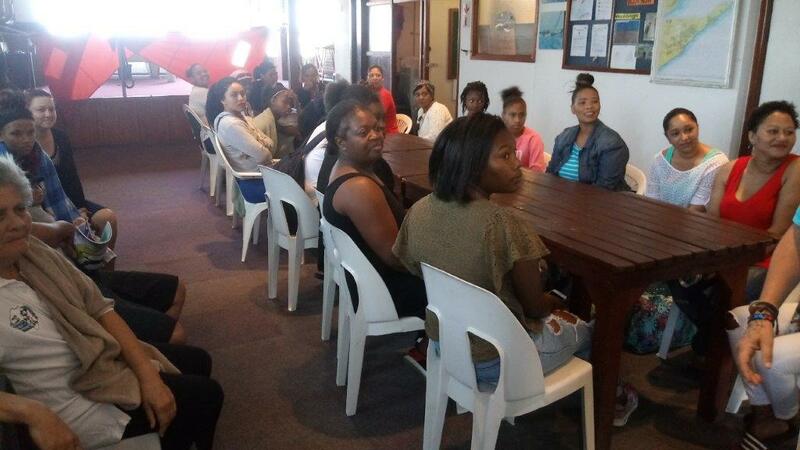 As part of their celebration of Women’s Day, our team in East London invited leading female figures present in the lives of W4C participants, for a fun filled day of surfing and insight into the programme. For many of the kids their mothers/caregivers had never seen them surf before. Hosted at Orient Beach with the support of the Buffalo City Municipality (BCM) and East London Yacht Club, the day attracted more than 150 participants. After a tour of the W4C site facilities, our moms/caregivers were given an overview of the programme and an explanation of the ‘banana culture’ which forms the basis of the W4C curriculum. Summed up in three words, ‘banana culture’ translates as – communicate, respect and protect. This insight allowed the women to understand the significance and benefits of their child’s attendance at each of the weekly surf sessions. They then headed into the waves for the own surf lesson! Many of mothers/caregivers work long hours to ensure their children are provided for, meaning they often miss out on quality time spent together. 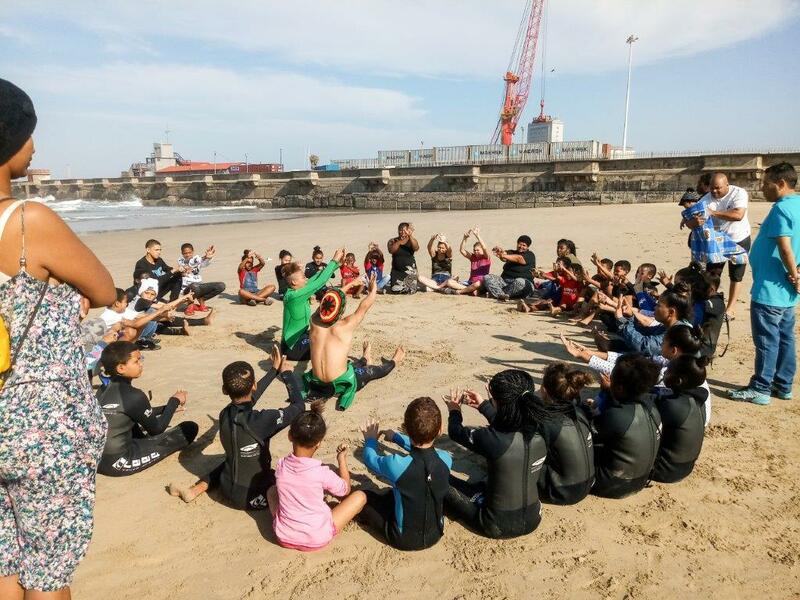 The day provided the opportunity for these women to not only experience surfing, it allowed them to spend time with their children and see first-hand the positive impact W4C is having on their child’s life. The day was a huge success not just from the number of women who participated, but the fact the event brought together such a diverse group of people from different age groups and cultural backgrounds. The women were not the only ones who enjoyed themselves, the excitement of the children to have their mothers/caregivers join them was evident on their faces and the enthusiasm shown when demonstrating to their parents what they do with W4C. Many parents said it was the best day they have ever had with their young ones and has created a memory that will last a lifetime. Big shout out to JD our site manager in East London, and his team for hosting this unforgettable and inspiring day, celebrating the Women of Waves for Change. This entry was posted in Community Building, Events, Latest News, Surf Therapy. Bookmark the permalink.